Urban planning and management, governance & policies, and infrastructure are the core pillars for ensuring liveability and livelihood for more than half of the global population. IPE Global is at the forefront of thought leadership, matched with end-to-end cross-functional service capabilities of an extremely complex, multi-disciplinary sector that will drive economic growth and prosperity in the cities and regions. Our innovative, sustainable and financially-sound services for our clients encompass urban reforms and institutional capacity building, master plans, local economic development, engineering designs, transaction advisory, municipal services and financial management, among other areas. Our expertise is well paced with national and international trends for urban resilience, climate change, city branding, smart cities, eco-tourism, zero waste, innovative construction technologies, waste to energy and green buildings. We have earned a strong reputation for delivery, collaboration and partnerships with our clients base consisting of national and state governments in India and internationally, urban local bodies, bi-lateral organisations, and international donors. We have enriched our management capabilities by leveraging intellectual capital and expertise, built over the years of presence in the sector. CIG Burma will deliver demand-driven technical assistance and capacity building to government Ministries, Departments and Agencies (MDAs) at the national and sub-national level. The aim of this support is to strengthen management of urban and energy sectors and boost investment into infrastructure. The programme will deliver inclusive economic transformation and growth that is climate resilient and contributes to poverty reduction and economic inclusion of disadvantaged groups. IPE Global will be responsible for identification, management and delivery of the technical assistance, to strengthen management of urban, energy and investment, and to help build an investable pipeline of projects. Under this project IPE Africa will conduct a study to develop an integrated infrastructure masterplan for the IGAD region covering 4 priority infrastructure sectors namely Transport, Energy, ICT and Water. The study will constitute a comprehensive strategy and master plan for the infrastructure sector in the IGAD region which will (i) Facilitate easy intra and interconnectivity within the region; (ii) Simulate regional economic growth and thereby contribute to poverty reduction; (iii) Reduce isolation and promote regional integration and stability. The recommendations of the study will provide the basis for IGAD to seek development assistance from donors and development partners and attract private sector financing and guide the process of selection and implementation of regional infrastructure projects. It shall also constitute the basis for IGAD Member States commitment to a common infrastructure development programme, in the form of a Declaration, as well as the basis for regular review of its implementation. The intention of the IRIMP is to help IGAD accomplish regional integration, especially through increased trade, free movement of goods and persons, poverty reduction. CLIC is a £27m International Climate Fund (ICF) programme funded solely by BEIS, Government of UK. The primary focus of the programme is providing technical assistance to megacities in developing countries – helping them to plan for, and then attract financing for, ambitious climate actions. IPE Global through its IPE Triple Line subsidiary has been commissioned by BEIS to undertake the assignment comprising the following: (i) An early formative evaluation on the suitability of the governance structure and performance of the delivery partners; (ii) An early impact evaluation of the effectiveness of delivery of technical assistance, global research and national advocacy in achieving programme direct outputs and progress towards medium term objectives, including an assessment of the likelihood of transformational change as a result of ICF support. (iii) A review of BEIS results reporting on CLIC. Department of Urban Development & Housing (UD&H), Govt. of Arunachal Pradesh intends to implement various components viz. SWM, Water, Waste Water, Sanitation & Drainage under the CSP umbrella in 28 ULBs. In this regard, UD&H has selected IPE Global as a Consultant for Preparation of State Sanitation Strategy & Action Plan for 33 Urban Centres (28 Urban Centres) of Arunachal Pradesh. A city sanitation plan for all 28 cities is to be prepared as per guidelines of National Urban Sanitation Policy of Government of India and looking to the sanitation ranking given in the NUSP survey conducted by GOI MOUD in the year 2010. The plan is to be prepared in consultation with City Sanitation Task Force (CSTF) constituted by each municipal Council, DUDA of 28 cities. Project cost is INR 200 crores approximately. IPE Global has been contracted by Foreign and Commonwealth Office (FCO) to prepare detailed research study on India-UK Cities twinning which includes India-UK partnerships so far, challenges & opportunities of partnerships and benefits of such twinning’s in urban sector which brings together governments, businesses, investors and experts to build smarter and more inclusive cities. Another objective of the assignment is to identify what role city twinning specifically plays in India-UK partnerships in terms of trade and investment from past years and identify parameters which make partnership effective. The study focuses on outlining key evidence and arguments for twinning, including economic benefits, and showcase 3 global best practice examples and review UK and India experience and opportunities for future UK-India collaboration, including possible compositions and delivery models. The Government of Ethiopia (GoE), under One WASH National Program, aims to increase access to safe water supply to 98 percent for rural areas and 100 percent for urban areas and to provide all Ethiopians with access to basic sanitation. The main objective of this assignment is to assess the wastewater management status of towns having population 50,000 and above in Ethiopia including the legal, organizational, capacity etc. aspects of the management (excluding Addis Ababa). The study will evaluate the extent of urban waste water management problem in each town and set priority criteria for towns to be entitled for wastewater management feasibility study, design and construction. IPE Global will conduct urban wastewater situation assessment study and prepare implementation guidelines to facilitate the implementation of waste water management system in 28 large and medium size towns in total. 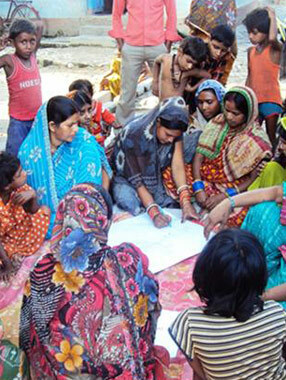 The objective of the project is to deliver integrated, multi-disciplinary research that helps the client understand and influence political settlements, institutions (formal and informal) and governance in rapidly growing cities, and through these, support the design of targeted and integrated interventions that promote inclusive growth, poverty reduction and access to livelihoods. The project will integrate Complex Land Markets and political economy (PE) analysis in East Africa with a focus on primary and secondary cities in Uganda and Somaliland. Our consortium’s research will deliver innovative findings and practical recommendations to overcome the constraints of development in different sectors, especially those related to spatial development. We will design urban policies that can help to build more responsive institutions, based on critical reviews of the state of the art in research on urbanisation and development. IPE Triple Line will undertake a spatial assessment of the historic and physical growth of four cities to inform a more detailed socio-economic analysis of households and individuals who interact with complex land markets. Cities Alliance, which is hosted by UNOPS, is a global partnership for the promotion of cities in poverty reduction and sustainable development. Under this project, IPE Global has been given the task of taking forward the previous HR assessment exercise by developing a User Guide that can be used independently by city managers to carry out similar HR assessments for their cities. IPE Global will use the methodology and results of the Preliminary HR Benchmarking Toolkit developed in 2016 to further develop an Automated Analytical Tool or User Guide for HR Benchmarking. IPE Global has been contracted by The World Bank to develop a citywide trunk drainage master plan in Mogadishu, Somalia that guides the strategic and harmonized investments in the region. The master plan would give an overview of the existing drainage system, allowing Benadir Regional Administration (BRA) to identify key gaps, standardize the system design and prioritize future investments based on evidence. Ministry of Urban Development & Housing (MUDH) has received funding for The World Bank for Housing Supply Assessment in Afghanistan in order to develop housing sector policies and implementation of pertinent laws and regulations; to study the supply side of housing sector in Afghanistan and present solid and practical recommendations for development of the National Housing Policy and National Housing Strategy. IPE Global has been entrusted to develop (i) a baseline assessment of the legal framework, policies, current practices and conditions on the ground, including benchmarking with other comparable countries and gap analysis: (ii) development of policies, strategies, and methodologies as relevant, over a short- and medium-term time horizon with the aim of establishing official policies and procedures to put these strategies into practice; and (iii) development of management systems and tools to monitor progress. The purpose of this assignment is to study the supply side of housing sector in Afghanistan and present solid and practical recommendations for development of the National Housing Policy and National Housing Strategy. We leveraged technical advisory support focused on reform driven infrastructure investment and service delivery by municipal corporations and state level directorate. IPE Global also provided private sector engagement facilitated by undertaking feasibility studies and transaction management that finalised PPP projects of USD 75 million with an additional pipeline of USD 35 million for integrated solid waste management. We established an urban development fund, MPUDC which leveraged USD 400 million from ADB and the World Bank for infrastructure projects. We also supported state-wide roll-out of key reforms such as municipal administration system, automated building plan approval system, municipal accounting reforms, and GIS linked property tax reforms, safe cities, among others. We also managed the award winning phase I of the programme, MP Urban Services for the Poor (MPUSP) from 2006 to 2012. IPE Global provided support for operationalising a District Development Plan for infrastructure and services in Bayanzurkh pilot district by capacitating local government bodies in the exercise of its functions. Under this assignment, knowledge dissemination covered strategic prioritisation of planning activities, needs & demands assessments, and an integrated urban planning methodology that could be scaled-up and mobilised in other districts of Ulaanbaatar. At the end of the project, District Development Plan, training modules, and investment plans were prepared. ADB has commissioned IPE Global for capacity building and knowledge management for the central and state governments to make large scale infrastructure projects attractive for private sector. We are working directly with the DEA staff and experts to mainstream Public Private Partnerships (PPP) by developing prototype PPP cells for institutional strengthening, facilitating appraisals risk evaluation of PPP projects, developing PPP enabling frameworks, and supporting transitioning to 3P India. Main activities include advising on policy, enabling environment to support development of bankable projects, training and development of knowledge management tools, guidelines and manuals. IPE Global is providing end to end services for pan city infrastructure in Jammu over a tight time frame. 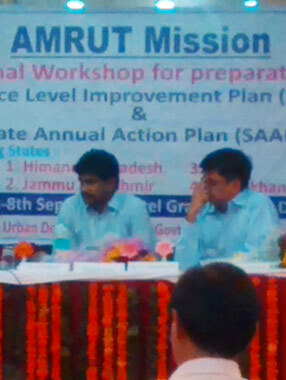 Strategic new infrastructure include, the longest flyover over 1.3 kms in Jammu city including 1.5 kms of road widening, sewage treatment plant of 30 MLD capacity and distribution network covering 15,000 households, water supply system enhancements to eliminate non-revenue water in 4 District Metering Areas (DMAs), replacement of old worn out water supply distribution network of 155 km in Jammu west, and master plans with a total investment outlay of INR 7.55 billion. IPE Global has designed new transport models, semi-automatic multi-level car parking system, first of its kind in Jammu. The programme will improve access to basic services for one million persons in Jammu city. IPE Global delivered engineering and construction services for improving connectivity between Sake & Masisi, and Bihambwe to catalyse economic activity and reduce transportation costs. Over 54 kilometres of gravel roads, drainage and slope stabilisation were structures constructed in a time-bound manner ensuring best construction practices for safety and generated local construction jobs. The inter-regional connectivity would improve security in the Kivu region by improving mobilisation of humanitarian actors and reducing travel times. Extensive stakeholder engagement activities were conducted with Provincial Government, Mission in the Democratic Republic of the Congo (MONUSCO), and Local Committees for Peace and Development (CLPD). IPE Global is developing and implementing a ‘Web-enabled GIS based Property Tax System for Ethiopia’ to enhance efficiency, transparency, and dissemination of property tax information to the general public. The web-based features will enable geo-spatially aware, in-time decision making and feed into the property valuation, taxation, and assessments for increasing municipal revenues in three pilot cities - Bahir Dar, Mekelle and Dire Dawa. DFID appointed IPE Global to provide technical advisory support to 28 ULBs and state level Urban Development and Housing Department in Bihar for capacity building to widen coverage of basic urban services. Over a span of seven years, the programme widened access to over 7 million citizens, spearheaded over 9,000 women’s self-help groups (SHGs) which have built savings of INR 130 million. Awarded best model/practice for successfully leveraging funds of INR 23 billion from central and state governments, and established an enabling environment for cities in Bihar to enter Smart City Mission pool. SPUR was accorded A+ rating by DFID on successful completion of the assignment. Under this project, IPE Global modelled a rapid economic urban assessment and city equitable growth appraisal toolkit to measure indicators of inclusive economic growth, such as business productivity, jobs, and income opportunities. We developed a robust methodology to overcome challenges of data scarcity, low government capacity, outdated information, and implementation capability. The training and capacity building of the local governments will thus promote evidence-based investment prioritisation in basic infrastructure and services for inclusive resilient cities. IPE Global is providing transaction advisory services for integrated solid waste management, processing, disposal and reclamation facilities serving the Greater Chennai area of 8.8 million residents. Master plans for two existing dumping yards will test innovations such as piggyback landfill of existing waste for site reclamation, waste to energy facilities, as well as space maximisation for disposal and treatment in the future. 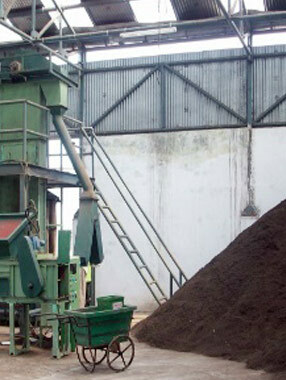 Models for efficient collection and transportation of 5,000 metric tonnes of solid waste to the two landfill sites will be developed in accordance with international standards. Among the largest operation in India and third largest globally, with capital investments worth over INR 20 billion, the interventions will create more than 8,000 jobs locally. IPE Global is providing strategic advisory support to Ministry of Housing and Urban Affairs (MoHUA), Government of India and target cities by fostering knowledge exchange with international experts from UK and the region on “smart” innovations. We are formulating pipeline of financially sound projects with cutting-edge technology for urban rejuvenation, transformation and placemaking. The projects will spur job creation, accelerate poverty reduction, strengthen urban institutions & Smart City Special Purpose Vehicles, and innovation partnerships. The programme builds on synergies of Foreign and Commonwealth Office, UK, funded support to MoHUA to roll-out AMRUT and smart cities mission. Under this programme, IPE Global delivered wastewater management master plan for Khulna, third largest city of Bangladesh, to fulfil the mandate of improving public health and city environment over a 20 year horizon (2016 to 2035). We supported Khulna Water Supply & Sewerage Authority (KWASA) to design and implement an ambitious and much needed expansion and refurbishment of sewerage systems of more than 350 kms. of sewer pipelines, including treatment plants of 8 and 16 million litres per day (MLD) to serve a projected population of 1.5 million city residents by 2035. The total investment outlay for wastewater management system was approx. USD 157 million. IPE Global is managing the transformative city development projects from inception to implementation in the four cities with a collective outlay of over INR 90 billion. More than 84 sub-projects in Kochi, 75 sub-projects in Ujjain, over 50 sub-projects in Tumakuru, and 80 sub-projects for area-based development in Jabalpur, benefiting 3.8 million city residents are being implemented. A wide range of transformative investments will rebrand and revitalise these cities as destinations for sustainable tourism, business/economic zones, knowledge hubs, and centres for convergence within larger metropolitan areas. The ‘smart initiatives’ will be mainstreamed into the urban infrastructure, transportation, buildings, and soft infrastructure such as command and control centres. IPE Global has been appointed as Project Development and Management Consultant (PDMC) for the implementation of AMRUT Mission in Karnataka, Chhattisgarh & J&K to administer quality of life improvements for all, with focus on the urban poor. The scope of services covers almost 42 ULBs with projects costing INR 9,000 crores. The Karnataka Integrated Urban Water Management Investment Program aims to institutionalize mechanisms to managing scarce water resources in a holistic and sustainable manner. Investment support will be provided to modernize and expand urban water supply and sanitation (UWSS) and institutional strengthening. As Facility Management and Institutional Development Consultants, IPE Global is assisting in developing and implementing policy frameworks, guidelines for governance, financial reforms, program management and monitoring. Located on the periphery of Addis Ababa, the capital of Ethiopia, large Industrial Zones (IZs) are beginning to emerge. These include, Bole-Lemi IZ (Bole-Lemi II) and the Kilinto phase-I, covering an area of 178 and 308 hectares, respectively. IPE is involved in preparing the detailed engineering design of the infrastructure, supervision and the contract administration of construction of the on-site and off-site infrastructure works at implementation stage to ensure construction quality assurance. IPE Global is providing Project Management Unit support to Ministry of Urban Development (MoUD), Government of India and Urban Local Bodies (ULBs) on the CBUD programme to provide comprehensive framework for long term capacity building requirements based on demand driven technical assistance for States and ULBs on various urban management issues and incorporate the urgent priorities of the Mission Directorate, MoUD. IPE Global is supporting NDMC in implementing the objectives of a Smart City Programme to create walkable localities, preserve and develop open spaces and promote a variety of transport options. Under this mandate, we will provide the design and implementation plan for future ready markets and streets that include smart interventions such as, smart bus-stops, integrated solar panels, Wi-Fi hot-spots, solar powered charging points, tactile flooring, vending machines, information kiosks, interactive panels, vertical gardens, among other innovations within the public realm.